It’s hard to believe that the 2009-2010 school year is already over. We will have our last Museum visits and Go van Gogh trips tomorrow, and we wanted to take this opportunity to share some of the highlights of the year with you. all of our Dallas volunteers. We visited 406 1st-6th grade classrooms in Dallas, seeing over 8,330 students. all of our volunteers outside Dallas. We presented a total of over 240 programs to 4,800 students in schools outside Dallas city limits. These are especially impressive numbers as each and every program that takes place outside Dallas is scheduled, coordinated, taught, and otherwise made possible by volunteers. We debuted a snazzy, new van that showcased our fun, new Go van Gogh brand. We offered an engaging, new 90-minute Creative Connections program: Lights, Camera, Action! All in all, it was a great year. 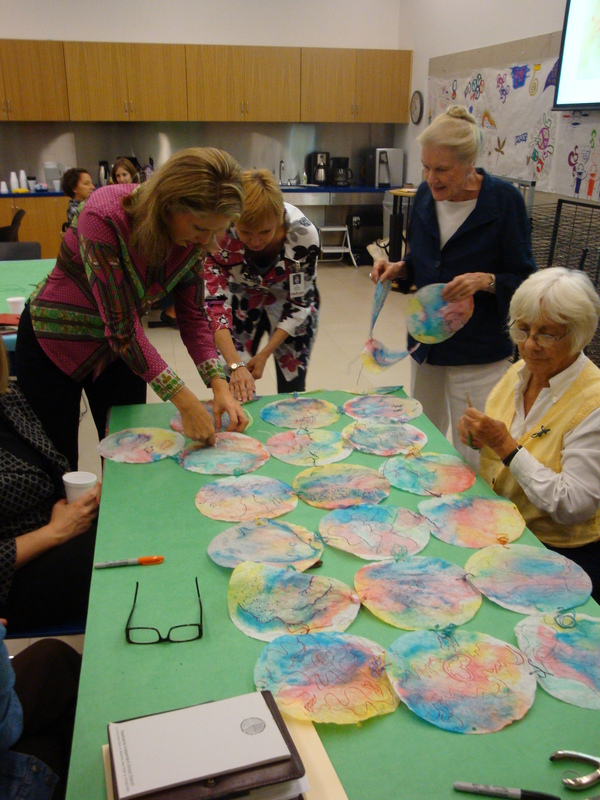 Go van Gogh volunteers, we appreciate your hard work and dedication to bringing fun and meaningful art experiences to North Texas students. Teachers, we thank you for bringing Go van Gogh into your classrooms. Our schedule has been jam-packed with Museum visits all year. Thank you to the students and teachers who visited the Museum, and thank you to our docents who make all of these tours possible. 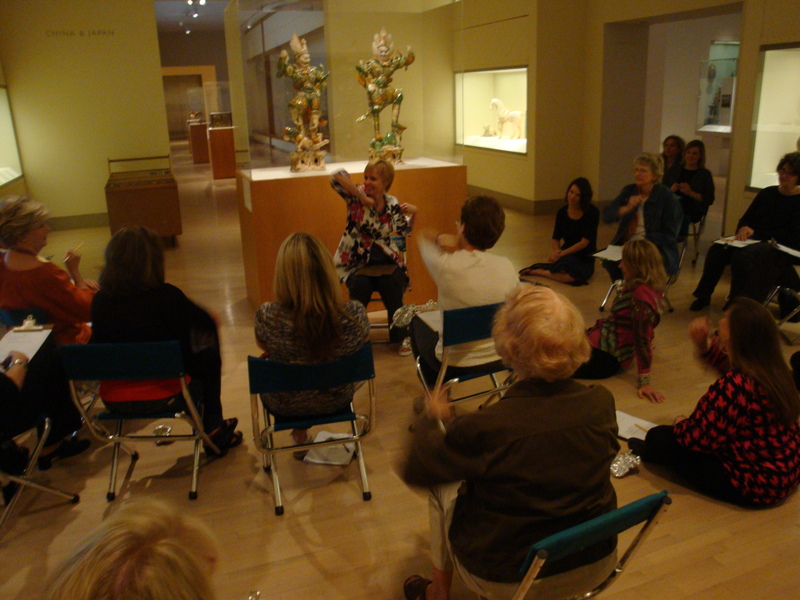 Docent Denise Ford welcomes her group to the DMA. 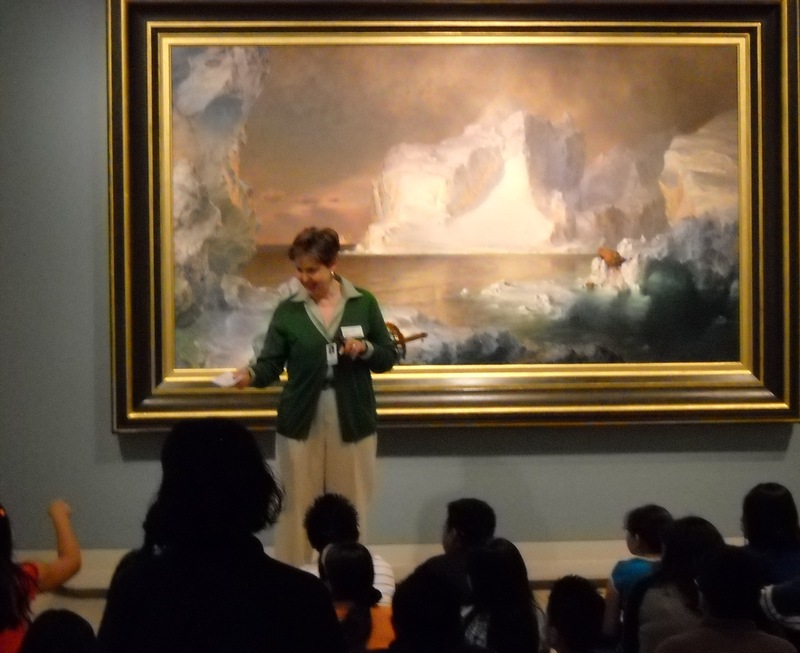 providing docent-guided and self-guided Museum visits for 51,821 K-12 and higher education students. sharing several wonderful exhibitions with students. We were able to make works of art come alive in All the World’s a Stage, and we transported students to 19th century Normandy in The Lens of Impressionism. continuing relationships with several school districts. This was the third year of our partnership with Dallas ISD where every 4th grader comes to the Museum for a docent-guided visit. We welcomed 11,535 DISD 4th graders for A Looking Journey tours this year, and we can’t wait to see DISD’s 4th graders again next year. So there you have it, the highlights of thirty-two weeks of programs for the 2009-2010 school year. The 2010-2011 school year will be here before we know it, so we encourage you to start thinking about your DMA and Go van Gogh visits now. Be on the lookout for our postcard this summer, reminding you to visit our Web site on August 1st to schedule your programs. Have a wonderful summer! On Friday we will say good-bye to our McDermott Interns, Logan Acton and Justin Greenlee. Logan and Justin have been with us since September, and they have contributed in numerous ways to the work we do with students and teachers. We appreciate all of their hard work this year, and we will miss them more than they know! Below are some of their thoughts about their internship experience this year. What has been a highlight of your experience as a McDermott Intern? Logan: When the Hoffman Galleries were installed with works of art dealing with narrative and time, I was immediately drawn to Gregory Crewdson‘s photographs. I had numerous opportunities to share this interest with others, including leading activities in the UT Dallas honors seminar this spring. This year, the seminar included a lecture series with six guest speakers, including Gregory Crewdson. Not only were the students and staff able to attend the lecture, but we were also given the opportunity to meet with Crewdson for a personal question and answer session. What has been your most unexpected or memorable experience? Logan: Something unexpected occurs almost every time I have an experience with students. On one tour, I pointed out Untitled (Perfect Lovers) by Felix Gonzales-Torres. 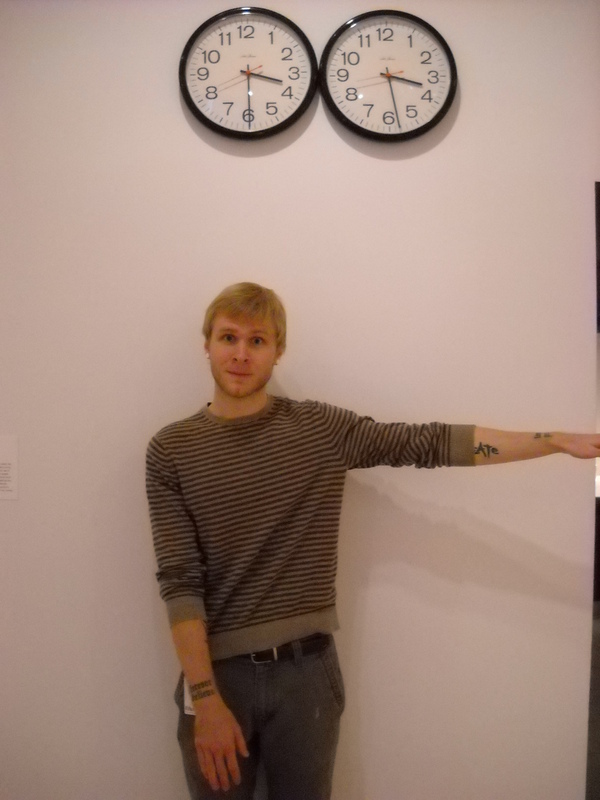 Initially, many students were skeptical, though intrigued, at the idea of two wall clocks constituting a great work of art. One young lady became very engaged and vocal about the process of creating a piece of art like this. I asked her to describe how she herself might make a work of art about life or death. After thinking for a moment, she explained in considerable detail a dark room with a box in the middle that produced a thin but consistent stream of smoke. I asked her how she thought someone with no knowledge of her idea or intent might feel upon walking into that room. She smiled and looked at the clocks and said that they might not think it was art at all, and on second thought she really liked these clocks. Justin: Driving the Go van Gogh van around Dallas has been an adventure. I’ve been all over Dallas, visiting the nooks and crannies of DISD. Even after six months in Dallas, I couldn’t get anywhere if it wasn’t on the way to an elementary school. What have you learned as a result of your experience as a McDermott Intern? 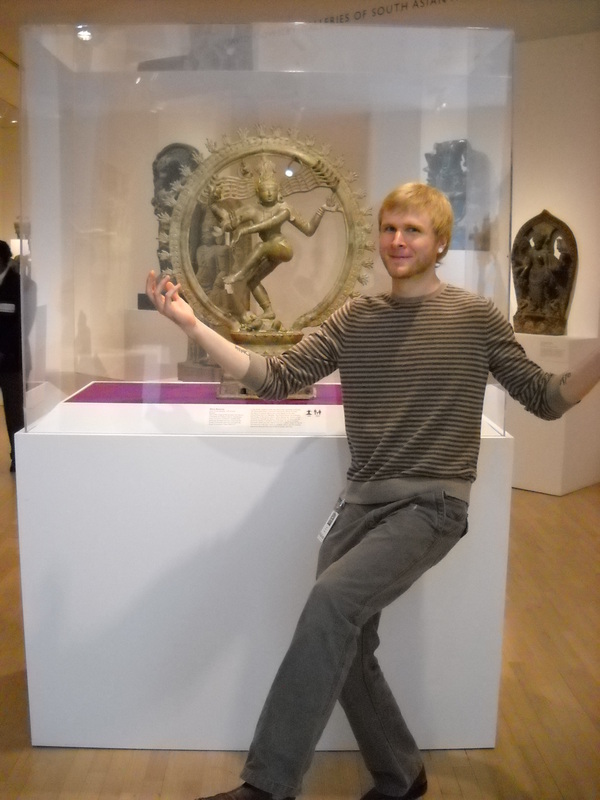 Logan: I have spent hours in the galleries with students and teachers, and this has helped me grow in my own interests and abilities as an educator. Jumping in to work with an encyclopedic collection, I learned a lot about the works and the cultures that produced them, but also about myself and where my strongest interests lay. Although I had always enjoyed modern and contemporary art, I really fell in love with artists who I initially knew very little about like Trenton Hancock, Gregory Crewdson, and Matthew Barney. My time spent educating fed this passion as I was able to explore my ideas with other people. From these experiences I began to learn which ways of teaching worked best for me and how to adapt to different situations. I applied for this internship because it combined my passion for art and education; as my time at the Museum draws to a close, I feel more in love with both than when I began. Justin: I’ve learned a lot from the people I’ve met in Dallas. I’ll miss TAG teachers, Go van Gogh volunteers, docents, Museum staff… I’ve really enjoyed sit-down conversations with many different types of people. 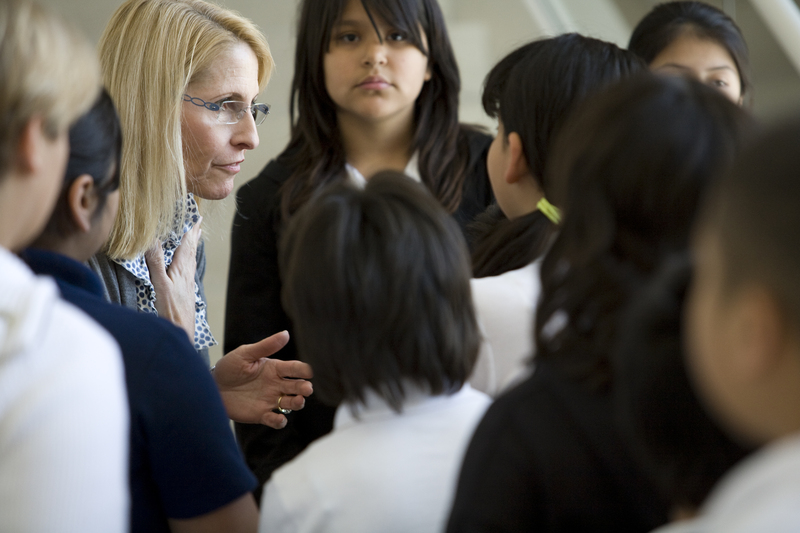 I think I’ve become a better teacher, and I’ve gained a lot of respect for the hard-working teachers in DISD. 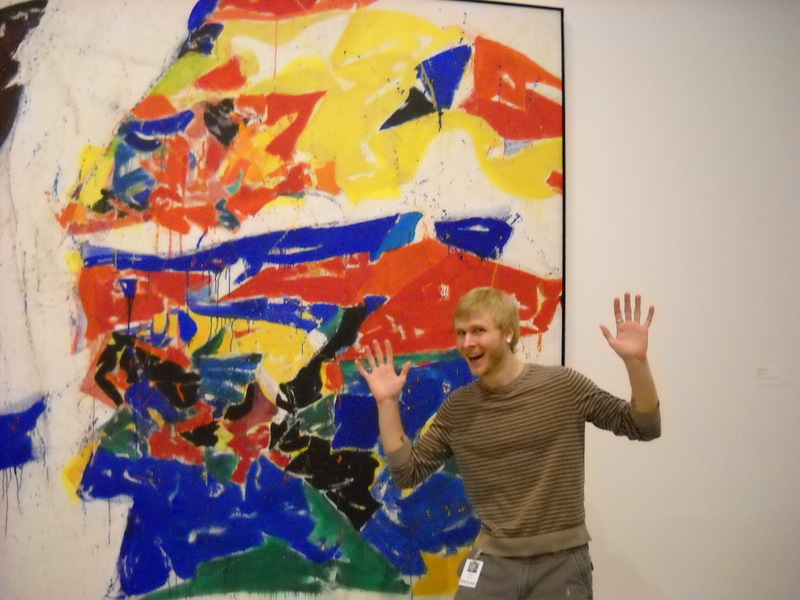 My time as a McDermott Intern at the Dallas Museum of Art is drawing to a close. Along with my seven fellow interns who began at the DMA in September, I will be walking the galleries with the McDermott title for the last time next Friday afternoon. 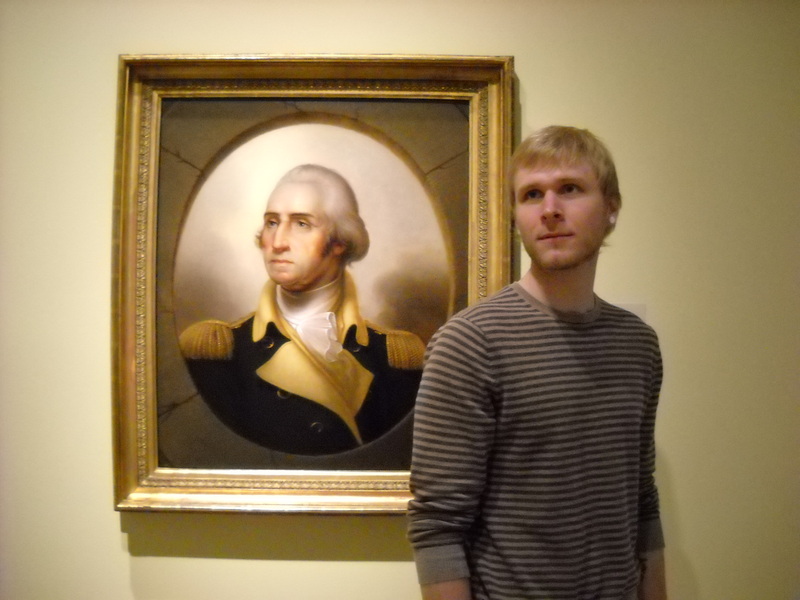 I have had amazing experiences while working at the Museum and getting to know the collection, and even though I will only be moving up the road to UTD as I finish my Master’s degree this summer, I felt a ceremonial goodbye way in order, the best way I knew how. 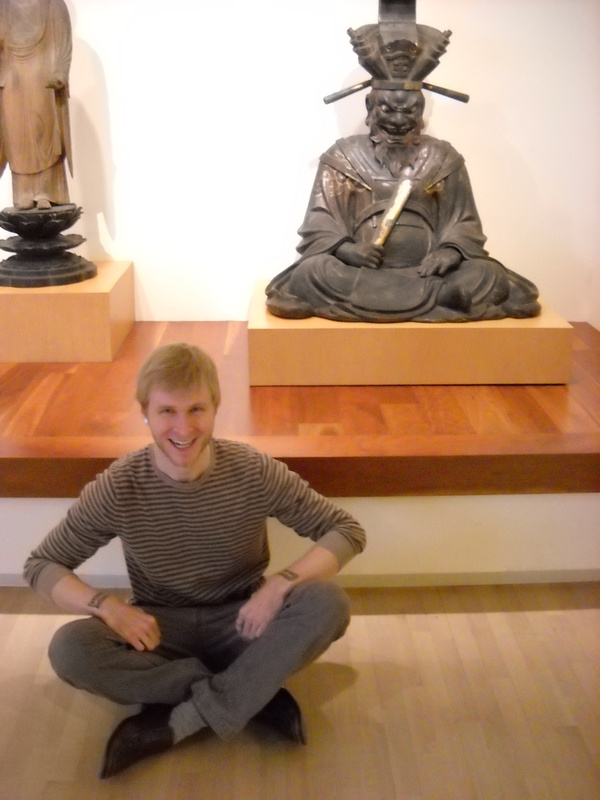 Here are a few of my favorite works of art at the museum and my loving tribute to them! This is one of twelve individual sound designs created for works of art in the exhibition, and these individual sound designs represent only one layer of a three-part, synchronized sound installation. A global soundscape powered by two subwoofers is audible throughout the Coastlines exhibition and contains musical elements shaped by the natural sounds and rhythms of waves. Regional soundscapes emerge from ten ceiling-mounted speakers and respond to the thematic sections of the exhibition. The twelve local, or individual, soundscapes representing interpretations of selected works of art are delivered through Holosonics hyperdirectional speakers, which allow for a controlled design of the auditory space. Now that I’ve geeked out on the technology of the sound installation, let me tell you a little more about the making of this sonic experience. The Coastlines sound installation was created by graduate students and faculty in the Arts and Technology program at the University of Texas at Dallas, in collaboration with undergraduate students in the School of Information and Communication and Media Engineering at the Université du Sud Toulon-Var (USTV), in Toulon, France. The project began in September 2009 with several planning meetings between UT Dallas and the Dallas Museum of Art focusing on exhibition themes and artworks, as well as technological possibilities. UT Dallas faculty and students presented a proof of concept demonstration in December 2009 for the multilayer sound design and use of hyperdirectional speakers. In January 2010, under the direction of UT Dallas professor Dr. Frank Dufour, students selected works of art in the Coastlines exhibition and began composing sonic interpretations for these works. Lead graduate students Michael Austin and Jason Barnett also began work on the conceptual and technical development of the overall multilayer sound design. 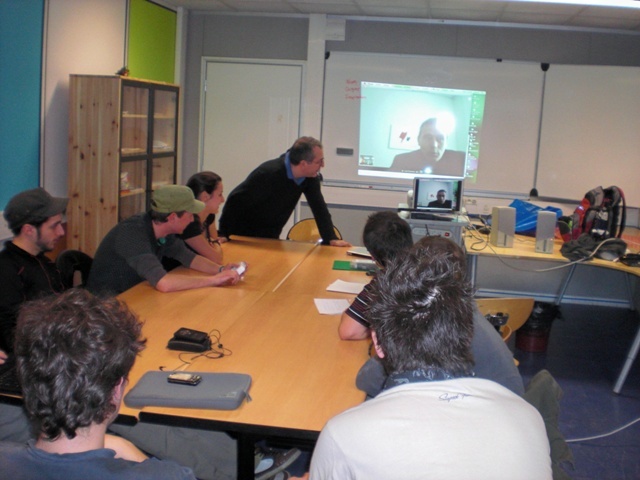 Professor Frank Dufour talks with French students via Skype. Communications about the project between the creators occurred primarily through the Internet using Skype, a free web-based chat software, and a private social network that provided a forum for the exchange of ideas, images, and iterative sound designs. The exchange was bilingual, encouraging each set of students to work through language barriers. In addition, Michael Austin visited the USTV students in Toulon, France during project development to lead them in sound design workshops. One of the workshops included collecting sounds from the harbor in Toulon, France. Many of these were used in the individual sound designs created by students in Texas and France. 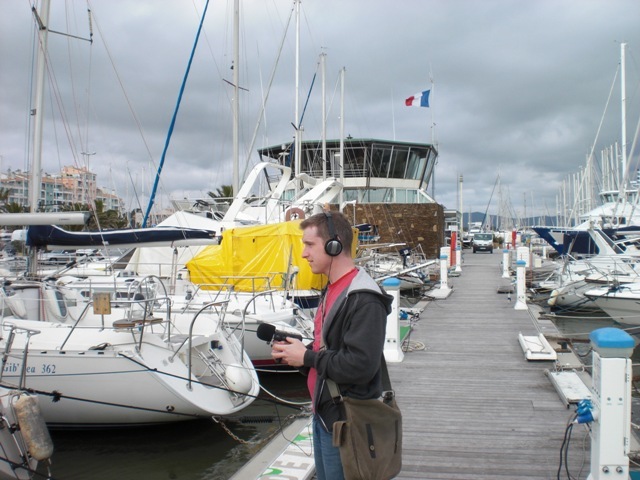 Michael collects sounds of the harbor in Toulon. French students record the sound of water. This project is an education initiative undertaken in part with the support of FRAME, the French Regional and American Museum Exchange. FRAME fosters exchanges between a group of American and French art museums committed to establishing long-term partnerships on common projects that make their respective resources available to a wider public. Several collaborating museums and universities involved with FRAME are focused on the relationship between music and art and support the work of young artists. This Friday night at the Dallas Museum of Art Late Night you can support the work of young artists involved in the Coastlines sound design project. Visit the exhibition, then stop into the Theater in the Center for Creative Connections at 8:30 p.m. to hear Dr. Dufour and students from UT Dallas share insights about the project and their process. One of our outstanding curators here at the Dallas Museum of Art, Dr. Heather MacDonald, graciously took time out of her busy schedule to answer questions related to her job at the Museum. Continue reading for more information about Heather’s job and the exciting exhibitions that she is working on at the DMA. To learn more about Heather’s projects at the DMA, please click on the following link: ‘The Year of Heather’: Curating at the Dallas Museum of Art. Describe your job here at the Museum: I work with the collection of European painting, sculpture, and works on paper (prints, drawings, and photographs) from the 15th century to 1945. Together with the Senior Curator of European and American Art, Olivier Meslay, I look after the permanent collection galleries as well as organizing temporary exhibitions. My job involves a lot of research and writing, but also collaboration with other departments in the museum on teaching and interpretation, managing multi-year projects, and on caring for the works of art. I travel a lot to see works of art, meet with colleagues, attend art fairs and professional conferences, and see important exhibitions. Being a curator is also being a teacher: leading tours, giving lectures, and training the docents who will help communicate your research and ideas to a wider public. You have to be as comfortable at the lecture podium as in the library or gallery. What is the favorite part of your job? I think that for most curators the most enjoyable part of the job is installing works of art in the galleries, whether it’s the permanent collection or a special exhibition. It’s the fruition of many months, sometimes years, of planning, and a moment to think in very specific, physical terms about the encounter between a work of art and the viewer. There is a real magic to seeing paintings come out of their travel crates and go on the wall of a gallery that has been designed just for them. You have to cross your fingers that everything works the way you planned, and it is a great feeling when it’s even better than you could have imagined. What is a challenge you face in your job? It can be a real challenge to find time for the most important parts of my work (research, thought, and writing) with the constant demands of email and meetings that consume so much of the working day. Understanding and interpreting works of art is a time-consuming activity, and a lot of that slow-paced and intensive work inevitably has to happen at night or on weekends, away from the office. 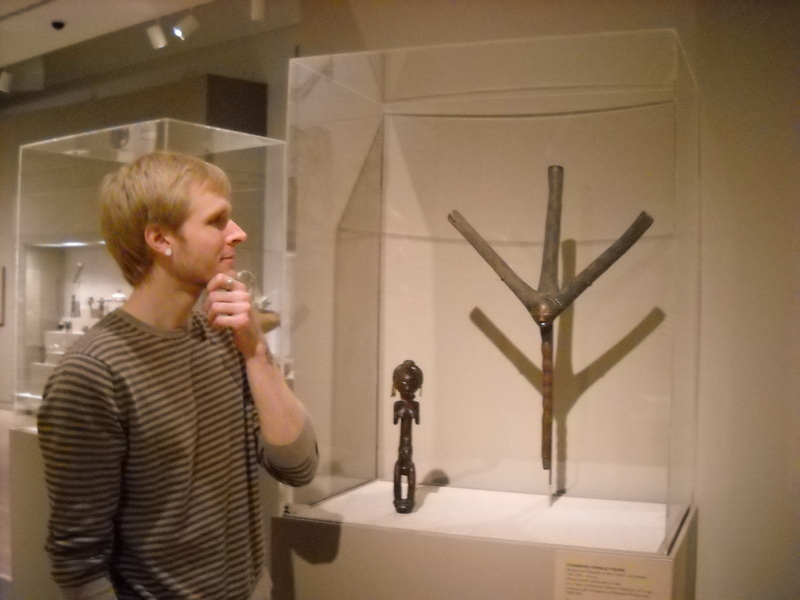 How did you decide you wanted to work in a museum? I thought I wanted to teach art history at the university level, but part way through graduate school I realized that career was not for me. Having at that point almost completed my PhD in art history, I thought I might as well try a museum job before leaving the field entirely, and I found the work much more engaging and rewarding. I feel very lucky that I was able to find this other career in my discipline. If you weren’t working here at the Museum, what is something else you would be doing? Well, I have a lot of fantasy careers, of course, but I think most likely working in editing or publishing. I love books and the written word. I’m lucky that part of being a curator is working on the creation of exhibition and collection catalogues, which allows me to be involved with publishing in that way. What are some upcoming exhibitions that will be at the Museum over the summer? This summer my exhibition Coastlines: Images of Land and Sea will be on view at the Museum. It features more than 60 paintings, photographs, drawings, and prints made between 1850 and today describing the landscape and human experience of the coast. We’re trying something new by presenting this exhibition with a sound installation that was created by faculty and graduate students from the University of Texas at Dallas. I’m really looking forward to hearing how people respond to this sound environment. It’s a new way of experiencing an exhibition, and I hope it will encourage people to look more slowly at the works of art and think about them in new ways. 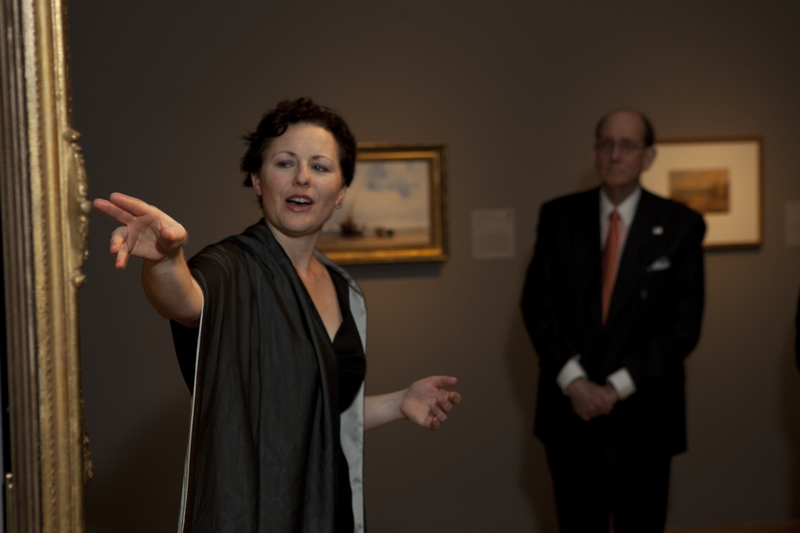 The May 21 Late Night will focus on the closing of the exhibition The Lens of Impressionism: Photography and Painting Along the Normandy Coast, 1850-1874 which was curated for the DMA by Heather. Visit the Web site for more information about this program. Friday Photo…Uh, How About A Video? It’s the end of a long week, and we all deserve a laugh. I had the opportunity recently to revisit a series of video shorts that were created by a few oh-so-smart college students during a course led by my oh-so-smart colleague Molly Kysar. I love these videos. They are presented like commercials for a visit to the DMA and wonderfully represent our brand “Hundreds of Experiences. Have one of your own!” Enjoy the catchy tune and laugh hard. For the past two weeks, we have been welcoming 5th graders from Mesquite ISD for docent-guided visits. This isn’t a new program, though. 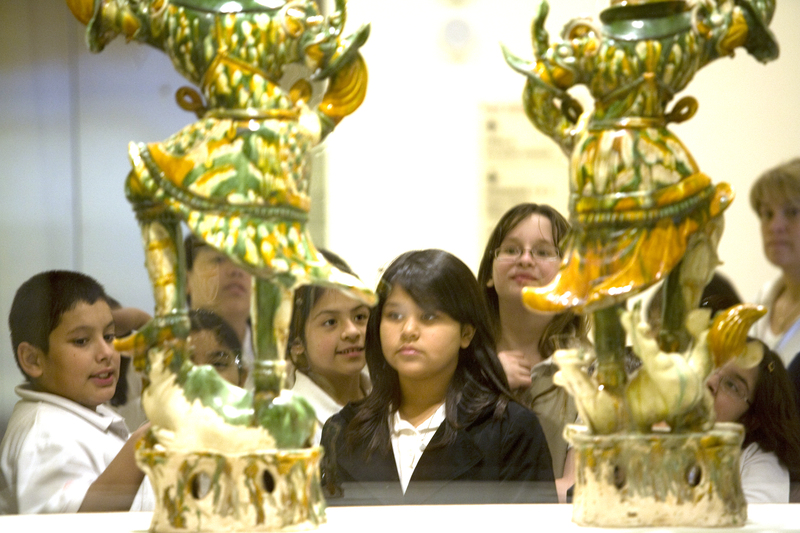 For the past twenty-five years, students from Mesquite ISD have been coming to the DMA for docent-guided visits of our collection. When this partnership began in 1985, each 5th and 6th grade student received a tour that aligned with their classroom curriculum. Over 2,100 Mesquite students toured the DMA that first year. Since then, this partnership (and the district) have continued to grow. Today, we see every 5th and 6th grade student, as well as every 7th and 8th grade art student, for a docent-guided visit that aligns with their curriculum. For the 2009-2010 school year, that totals almost 6,800 students! This partnership is affectionately known as Mesquite Week because in 1985 the visits did only last for one week. It now takes five weeks for the Museum to be able to tour that many students. Mesquite ISD has a wonderful Fine Arts Coordinator, Debi Waltz, who makes these visits a success year after year. Debi schedules each school’s visit, orders the buses, and works with us to decide which works of art students will see while they’re at the Museum. She’s one of the most organized people I have ever met, and I don’t think Mesquite Week could happen without her. I recently learned that it was one of our docents, Susan Cuellar, who took on the task of coordinating Mesquite Week visits in 1985. The district wanted students to have the same types of experiences with art that they were having with music, and they decided that they wanted their students to visit the DMA each year. Susan wrote the tour outlines for that first year, and she continues to give Mesquite Week tours today. She says that starting the Mesquite Week program is “one of the most exciting things I have ever done.” We’re excited that this program is still going strong twenty-five years later.